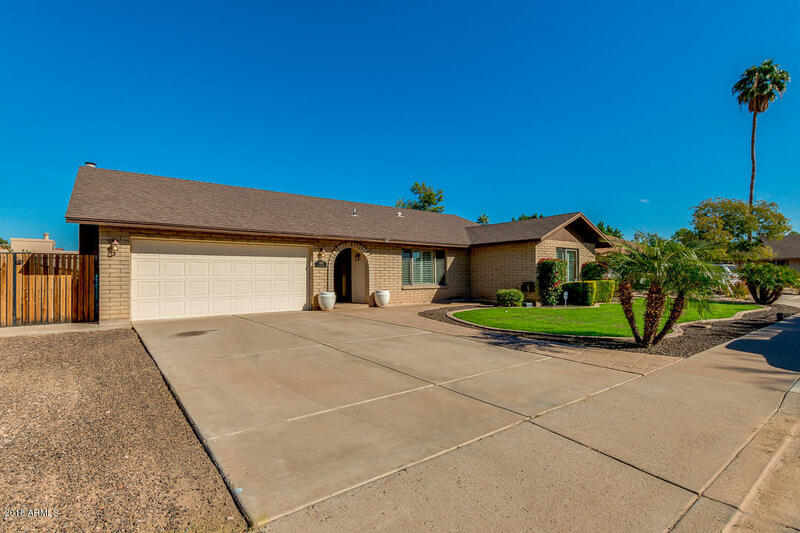 Spectacular 4 bedroom, 2 bathroom, single level home w/ pool for sale in prestigious Dobson Ranch, Mesa Az. Renovated kitchen boasts custom cabinets w/ rollouts, granite counters, glass tile backsplash & stainless appliances. Ceiling fans throughout, dual pane windows, shutters & newer A/C unit make this home energy efficient. Covered patio, sun deck, garden planter & new pool w/ pebble surface, water feature, variable speed pump, in-floor cleaning, LED lighting and cocktail table complete this back yard oasis! Garage features epoxy floor, built-in cabinets, workbench, attic storage access & service door access from RV gate. Dobson Ranch HOA offers walk paths, stocked fishing lakes, tennis courts & community pool w/ splash pad with plenty of community events. Easy access to US60 & 101.